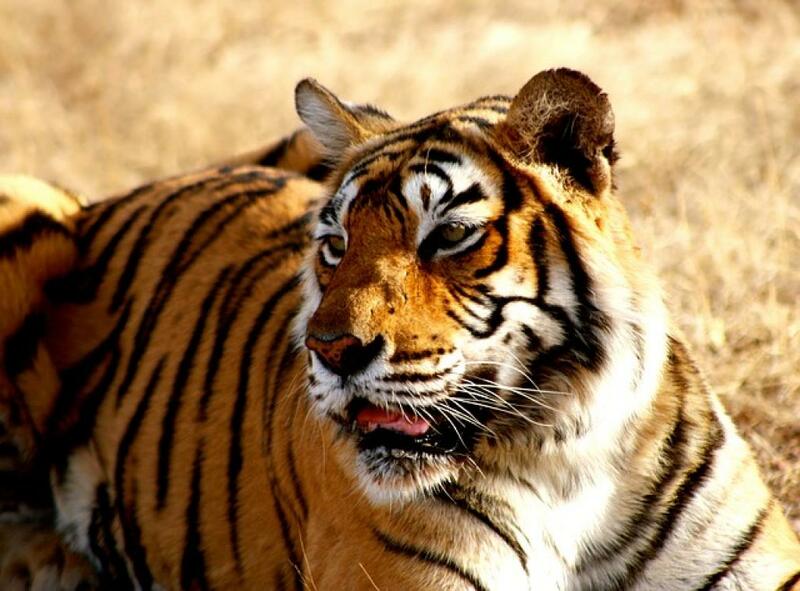 People living in two villages in Jharkhand’s Latehar district have been asked to relocate to ensure undisturbed tiger breeding in the Palamu Tiger Reserve. The step has been taken under Project Tiger, launched in 1973, in Kujurum and Latu villages that fall under the core area of PTR. Besides these two, there is a plan to gradually shift another six villages of the district. Wildlife expert D S Shrivastava told Down To Earth that the issue of relocation has been going on for a long time, but now the residents of Kujurum have agreed to shift, while activists say the residents are unwilling to move. Jerome Kujur, the general secretary of Jan Sangharsh Samiti, a Jharkhand-based organisation fighting for people’s livelihoods, says letters announcing relocation were sent to the Eco-Development Samiti of the forest department last year around July. “Though the forest department says Kujurum and Latu residents want to move, we do not agree on this. We received news that Kujurum villagers refused to shift to Dubiyakhar between Daltonganj and Betla as the land there is rocky and gravelly. There is a proposal to shift them to Mahuadanr block in Latehar, but there are already people living there. In these two villages, the total number of people stands at 3,084,” says Kujur. Activists have sent letters to the Garu ranger as seven villages fall under Garu block in Latehar and one comes under Barbadih block of the district. “We started this agitation last July. We have no idea when these villages were included in the core area,” Kujur adds. For the tiger population in PTR, the core area has to be kept inviolate. But, owing to increasing population in the villages that fall in this region, tigers are believed to be living in disturbance. “Relocation is tough, but we have devised an attractive package under the relocation policy. The package is about Rs 15 lakh per family. There are around 150 to 200 households in these two villages. However, it has not been decided where they will be relocated,” adds Singh. The reserve has six tigers and its field director MP Singh says the plan to relocate villages is more than 20 years old since breeding would become easy if there’s an inviolate area for tigers. Tiger conservation isn’t the only issue threatening the villagers. Another matter is the Kutku Mandal dam. The Union Cabinet had approved the completion of the project in Jharkhand and Bihar at an estimated expenditure of Rs 1,622.27 crore. If the dam is completed, around 15 villages will have to be relocated for land to be acquired. At present, people still live in these villages and shift only temporarily whenever floods occur. Submergence is not a new thing in the reserve area. The state’s chief conservator of forest said around 1,000 hectares in the reserve area gets partially submerged every year since the 1990s. Following massive protests by environmentalists, the reservoir level was reduced from 367 metres to 341 metres. “After the reduction in height, PTR’s core area will not submerge, but the dam restoration will affect elephant movement inside the reserve. The animals will now move towards those villages inside the reserve which will not be inundated, thus giving rise to increased man-animal conflicts,” says Shrivastava. Exclusionary conservation in the Sundarbans- Who pays the price?